This is a beautifully designed wooden leg chair made with solid beech legs with the shell of the chair offered in either leather or plastic. 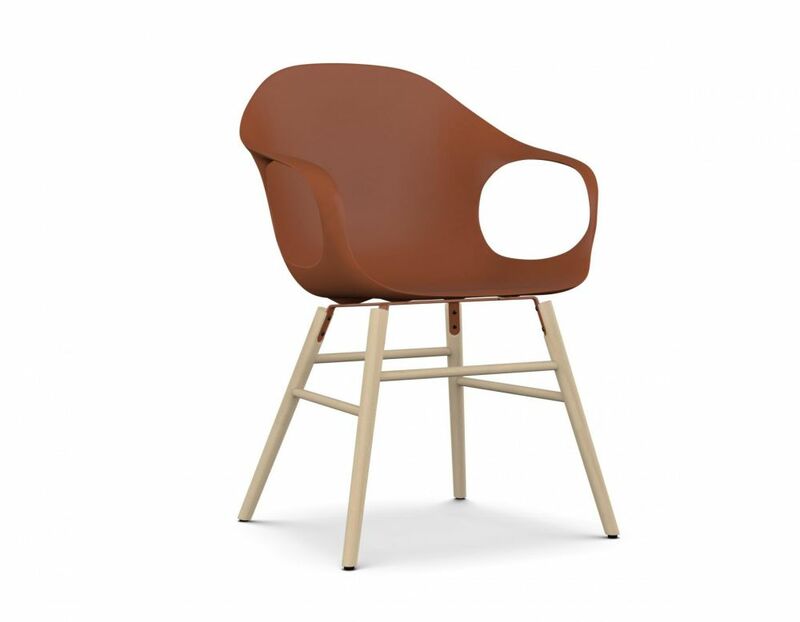 A Scandinavian design, this chair is in keeping with their taste for fresh minimalist shapes and corners, combined with simplicity and colours that both enhance and compliment a room. This is no ordinary chair as well as being functional and with plenty of aesthetic value; it also comes with strong foundations and is extremely durable. The arms and around the back of the backrest comes with a reinforced rib. This means that the chair can take any amount of knocking about; it will stand the test of time. It is comparable to the spine of an elephant, hence the reference to an elephant base. It comes in bright colours that stand out yet at the same time fits in with whatever colour scheme you have going on.